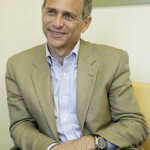 Leonard M. Lodish is the Samuel R. Harrell Professor in the Marketing Department of the Wharton School, University of Pennsylvania, Wharton's Vice Dean for the Program for Social Impact, and Leader of the Wharton Global Consulting Practicum (GCP) that has subsidiary partnerships with leading business schools in Israel, Chile, Peru, China, Taiwan, India, UAE, and Spain. Through the GCP program, groups of Wharton MBA's work with MBA students at the partner institution on real projects to help a foreign client company leverage a relationship with North America or a North American firm leverage a relationship with the partner country. 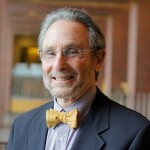 Len was the initial Vice Dean for Wharton's San Francisco campus from 2001-2009, Vice Dean of Social Impact from 2009-2012, and is currently Senior Advisor in San Francisco. Dr. Martin Lautman is the former Chairman and CEO of GfK Custom Research North America. GfK, headquartered in Nuremburg, Germany, is the fourth largest information company in the world, with offices in over 100 countries. Prior to joining GfK, Dr. Lautman was the Senior Managing Director of ARBOR, a marketing consulting and research firm where he directed over 500 branding, new products, marketing effectiveness assessment and strategy projects. Prior to ARBOR he wrote battlefield simulation software for the Department of Defense. Over the past 10 years, Dr. Lautman has focused on investments and venture capital and is an Angel Investor, Advisor and/or Venture Partner in multiple venture funds. He serves on multiple boards of advisors and directors, including a public company he helped found and several PE funded companies and family businesses. 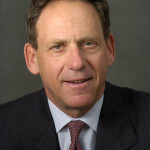 Dr. Lautman holds a Ph.D. degree from The Pennsylvania State University and is a graduate of the Executive Education Program of The Harvard Business School. As a member of the Young President’s Organization (YPO) he chaired the program for mentoring entrepreneurs. Dr. Lautman has taught an advanced course in Marketing Strategy in The Wharton School MBA program, a second year MBA Marketing Strategy course and a first year Executive MBA course on Marketing Management, focused on entrepreneurship, at The Smeal School of Business at Penn State University. At each university he was among the highest rated professors. He has also lectured at Princeton University on setting up advisory boards and boards of directors. 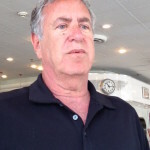 Steve has been involved as an advisor to and investor in several business; notable such investments include Accurate Autobody, LLC (acquired by Service King, LLC), Bazaarvoice, CustomInk (co-founded by his son), DealMaven (acquired by FactSet) Neverware, RippleTech (acquired by NitroSecurity) and Securly. Prior to being an investor, Steve was co-founder of Automated Catalogue Service, L.P (acquired by Sterling Commerce) which created and published industry-wide and company-specific electronic catalogs; Premier Systems (acquired by Sunguard) which developed accounting systems for both corporate and personal trust; and SEI Corporation, which developed the nation's most widely used trust accounting system/service. Outside of angel investing, Steve is Member of Board of Trustees of Albert Einstein Healthcare Network, and Director of the Palm Beach Chapter of the World Presidents Organization. Steve graduated with an MBA and BS from the Wharton School at the University of Pennsylvania. Alan started his business career at his father’s one office Mortgage Company. As its CEO, he grew that business into Brokers Mortgage Services ( B.M.S. ), a national mortgage broker and servicer. BMS went public and produced a number of innovations in the mortgage market- the first prequalified mortgage –“the House Card”, the first securitized mortgage pool, and the first integration of other complementary services, insurance, equity lines of credit, etc. into the mortgage. BMS was merged into Travelers Corp. and Alan ran and grew what became Travelers Mortgage Services (TMS) for 7 years. TMS was sold to GE and became GE Mortgage Services. TMS implemented the first strip securities and the first securities for second mortgages travelers also had the largest private security program in the U.S. He also led a group that bought Shadow Traffic Corp’s 2 markets out of bankruptcy. Shadow grew to 14 markets and introduced the first traffic camera installation (the Panasonic Traffic Cam at the Lincoln Tunnel), and the first integration of news, sports, and weather broadcasts from the same facilities as the traffic reports. Shadow was sold to Westwood One. Alan has also been a successful urban real estate developer.